People who have been to Siesta Key know that they can easily escape to this island paradise regardless of whether it is the middle of winter or summer. This eight-mile long barrier island has been hailed for having the whitest and finest sand in the whole world. However, it’s not just the beautiful beaches that lure visitors to Siesta Key but also the people in it and the island’s distinct atmosphere. Siesta Key is just an hour away from Tampa and is connected to downtown Sarasota through two bridges. Just like the rest of Florida, Siesta Key enjoys sunny, tropical weather all year long. For this reason, Siesta Key has been a favorite winter retreat. However, when summer begins and people in Florida are scrambling to get out of the heat, Siesta Key stays cool. The secret to this is this island’s sand. Made with 99% quartz, Siesta Key’s award-winning beaches are never too warm even when the mercury starts to rise. This barrier island was discovered in the 1920s by a group of eclectic writers and artists. Although it’s close to a century since Siesta Key was first explored, its sense of being an artistic community still remains. In fact, guests can combine their breakfast with good art through Broken Egg Restaurant and Gallery. Every Sunday, Siesta Key Public Beach becomes a party scene with the Siesta Key Drum Circle making festive music through their percussion instruments. The party starts an hour before sunset and continues all through the night. Siesta Key real estate buyers who want to be as close as possible to Siesta Key Public Beach should take a look at Beach Villas at 301 Beach Road. Beach Villas is one of the latest condominium developments in the island. This property is directly across Siesta Key Public Beach and is just a stone’s throw away from Siesta Key Village. Although this residential complex is just a short distance from these famous Siesta Key landmarks, residents can enjoy a great deal of privacy and exclusivity since Beach Villas is only composed of 22 units. Residents share the use of a swimming pool and may keep a small pet. 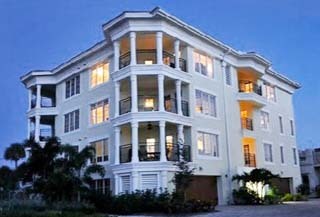 The 22 Beach Villas condos for sale range in size from 1,400 to 4,800 square feet. These units have differing floor plans. Two- and four-bedroom residences are available. Because Beach Villas was built just recently and since its residences are generously spaced, the value of these units begins at $1 million with the more elaborate residences including the penthouse suites reaching more than $2 million. Siesta Key is the perfect place to go to for your annual winter or summer vacation, and even for those unplanned trips that are done on a whim. Although it’s the beaches that entice visitors to go to Siesta Key, the island’s relaxed yet entertaining atmosphere is what causes them to linger. Whether one is thinking of becoming a regular visitor or a permanent resident, Beach Villas’ Siesta Key condos for sale is sure to make one’s stay as comfortable as possible. Here you will find the current MLS listings for all the Beach Villas Condos for sale on Siesta Key.